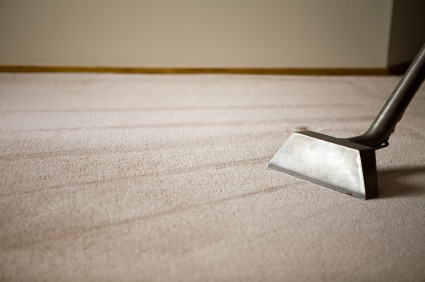 Clean The Carpets Before or After The Holiday? Should You Clean The Carpets & Floors Before or After The Holiday? You should clean Before & After! No reason to call a professional carpet cleaning services. Open up a can of KickAss! And your carpets and floors can be clean all the time! 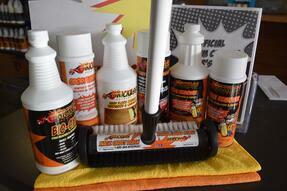 The KickAss Carpet & Bare Floor Cleaning Kit! Includes everything you need to Clean Carpets & Floors Looking Like New! 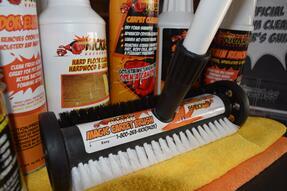 Check out the Video of the Magic Carpet Brush in action! Available Online or at Your Local Vacuum Cleaner Store! You'll be amazed at just how clean you can be! So clean you'll want to shout about it! 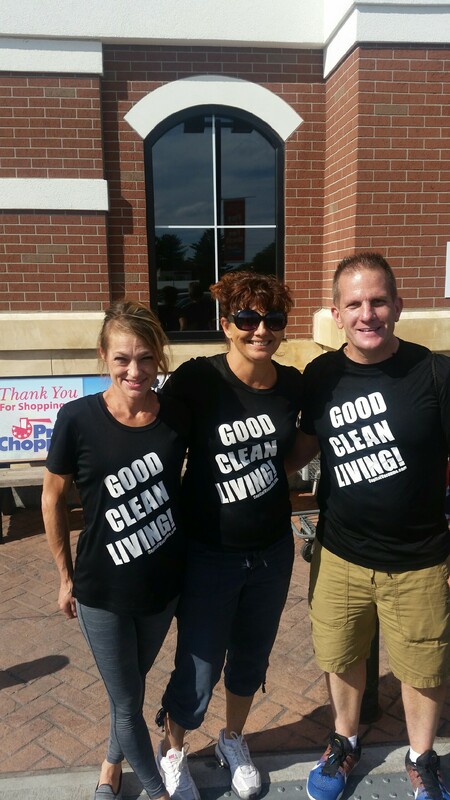 The Shirt That Screams "CLEAN." We Hit 100! Thanks For The Positive Reviews! Thanks for making Capital Vacuums the most reviewed Vacuum Store and Cleaning Company In The Country! We take a lot of pride in our work and we care that our customerrs are satisfied! We're not perfect but we always try to do what is best for our customers. Thanks for noticing! Over 100 Reviews and 10 Years Screened and Approved on HomeAdvisor! We are a Five Star Store! Don't Cry Over Spilled Gravy - OPEN A CAN OF KICKASS! The FREE Giveaway Continues! 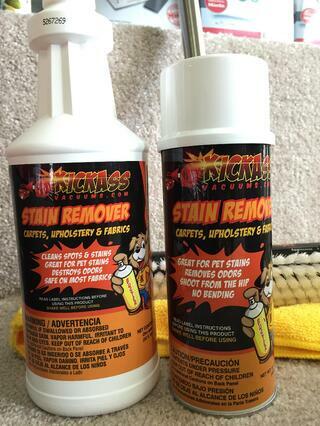 We've given away a lot of FREE KickAss Stain Remover over the last week. Be sure to get yours! Stop In! Check In! Open A Can Of KickAss! Available at Capital Vacuums In Albany & Charlie's Vacuums In Glens Falls! Special Facebook "Check-In" Promotion Ends This weekend! FREE CAN OF KICKASS! These Customers Opened A CAN! How'd that work out? When you stop in to either our Albany or Glens Falls Store! Stop In! Check In! Open Up A Can Of KickAss! FREE! The Most Effective, Easy To Use, Affordable Way To Keep Your Home Clean! FREE Stain Remover When You "Check In" at Capital Vacuums! 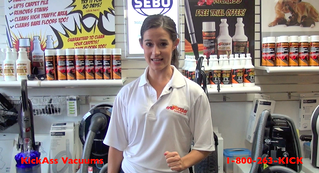 "Check In" at Capital Vacuums or Charlie's Vacuums and get a FREE Can Of KickAss Stain Remover! The World's Greatest Stain Remover! FREE! Cleans Dirt, Ink, Grease, Oil, Mud, Kietchup, Urine, Vomit, Coffee, Tea, Alcohol Beverages, Soft Drinks and Blood. OPEN A CAN OF KICKASS! FREE! Stop by Capital Vacuums Today and Get your FREE Can! The BEST Carpet Cleaning! Guaranteed! 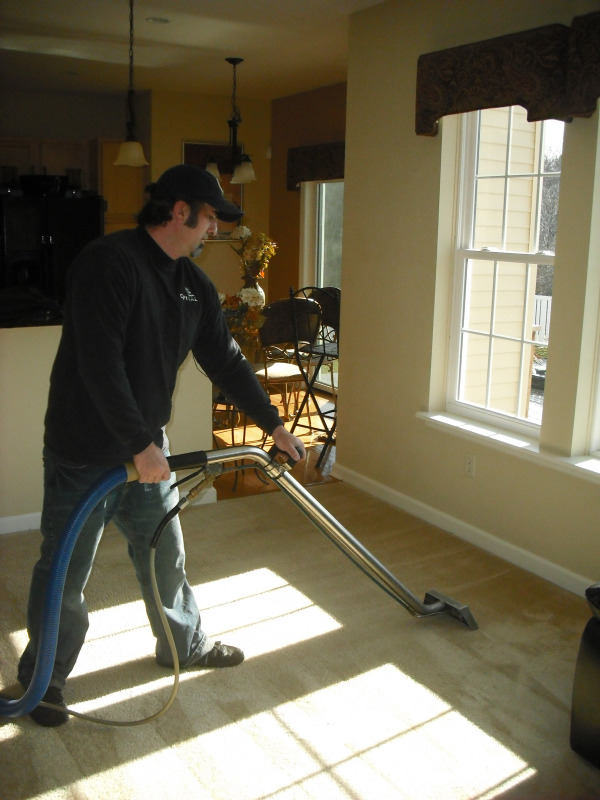 We recently moved into the Clifton Park area and had our carpets cleaned by your company. Overall the guys were very friendly informative and helpful. The service was great, the carpets came out as good as they could posible make it. (They need replacing...eventually) Great work! Unfortunately the cleaning industry is filled with uneducated, uninformed and sometimes downright unscrupulous companies. Capital Vacuums enjoys one of the best reputations around. The area's most seasoned floor covering experts, Interior Designers and Realtors refer our service exclusively. Our reputation ensures that you can trust our company to provide you with the best service experience ever. For additional security, check us out with the Better Business Bureau. For each new customer you refer to Capital Vacuums, we will send you a 10% referral commission. A certificate for 10% will be mailed to you when the referred customer pays the invoice. The referral commission is paid on the first new job. Repeat business does not qualify for the commission. You may then either use the certificate toward services or cash. Remember, we guarantee our work, so don't hesitate to refer someone to us. I didn't say it. The customers said it. I didn't say it. The customer said it.